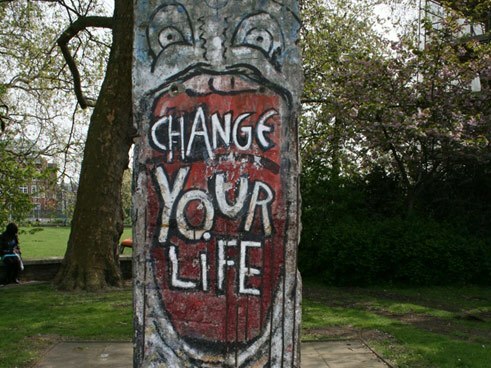 All around the world, segments of the Berlin Wall serve as reminders of the time when Germany was still divided. Anna Kaminsky, director of the Federal Foundation for the Reappraisal of the SED Dictatorship, talks about researching her book “Where in the World is the Berlin Wall?”. Ms Kaminsky, what do you reply to the question “So where was the Wall exactly?” that is frequently asked by visitors to Berlin? It is true that visitors and indeed Berliners themselves can find hardly any traces of the Wall in the city any longer. In the city centre at least, attentive observers will spot a line of cobblestones on roads and pavements marking the course taken by the former border. Anyone wishing to get a clearer picture needs to go to Bernauer Strasse, where an impressive memorial site showcases the Wall and its effect on everyday life. Which find documented in your book “Where in the World is the Berlin Wall?” do you regard as particularly amazing? 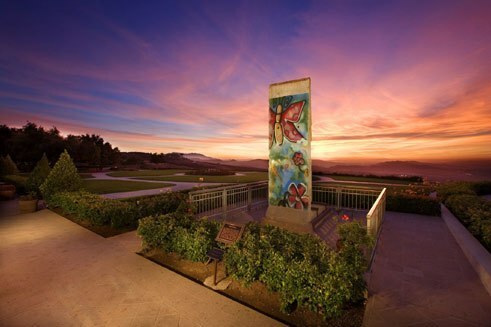 During the course of our research, we discovered many incredible monuments to and installations involving the Berlin Wall all around the globe. What I find particularly remarkable is the German NASA group’s initiative to name rock formations they discovered on Mars after the Fall of the Berlin Wall, the Peaceful Revolution and St. Nicholas’ Church. 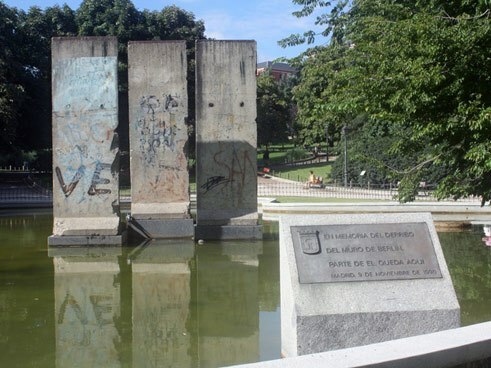 2|9 Just a year after the fall of the Wall a monument with original segments of the Wall was erected in the Parque de Berlín in Madrid. 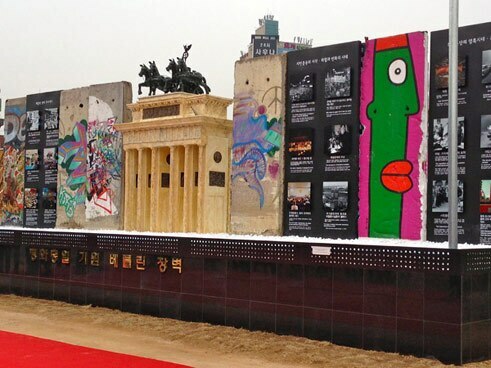 Since March 2014, five Wall segments have stood in the Peace Park of Uijeongbu, Republic of Korea. 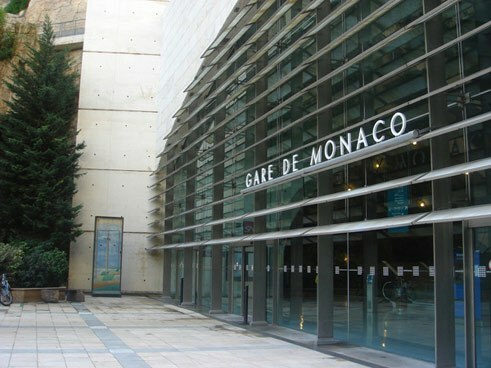 A fragment can likewise be seen at Monaco railway station. Even intensive research was unable to explain when it ended up in the Principality. 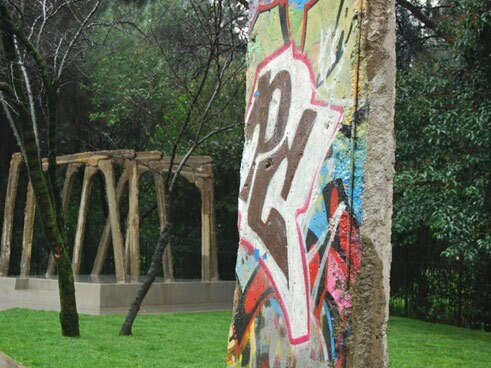 Ever since 2004, part of the wall has been standing in Léopold Park in Brussels. A small plaque commemorates the division of Germany and of Europe. How would you explain the great fascination that the Wall clearly held for people all over the world? During the Cold War and the stand-off between East and West, the Berlin Wall was the symbol of the inhumanity of Communist rule. For most people it was quite inconceivable that an entire nation should be “walled in” virtually overnight, that families should be split apart for years and years, and that those wishing to escape should be shot down in cold blood. Even before the Wall came down in 1989, visitors to West Berlin would often come to the Wall to take a look across to the “other side” from the viewing platforms. When the people in the GDR forced the Wall to be opened, they switched overnight from being a symbol of oppression and a lack of freedom to being symbols of the will to be free and of civil courage. What is more, we must not forget that countless tragic individual destinies are associated with the Wall. 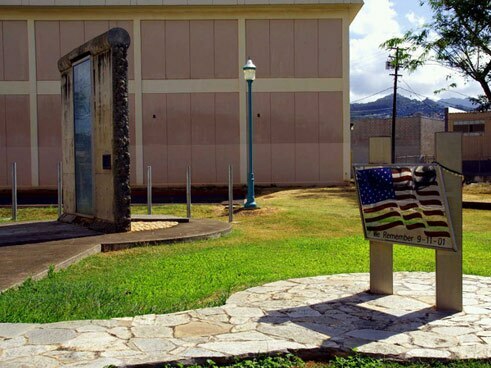 For many people, remembering the Wall is a very personal and concrete affair. 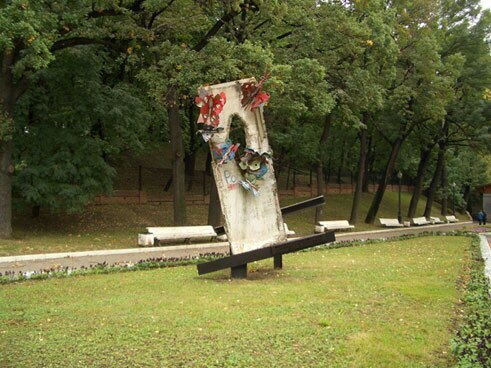 Some fragments of the Wall ended up scattered around the world via routes that are anything but transparent, some have been forgotten and are hardly maintained at all, while others are only tiny chunks in any case. This cannot have made the search any easier, so how did you proceed? For one thing, we conducted our own research. Wherever we found pieces of the Wall on our travels, this would be documented. Obviously, however, such a mammoth task cannot be completed without help from other countries and supporters. We received a great deal of information via Germany’s foreign representations – embassies, branches of the Goethe-Institut, international offices of political foundations – as well as from local partners who learnt of our project. 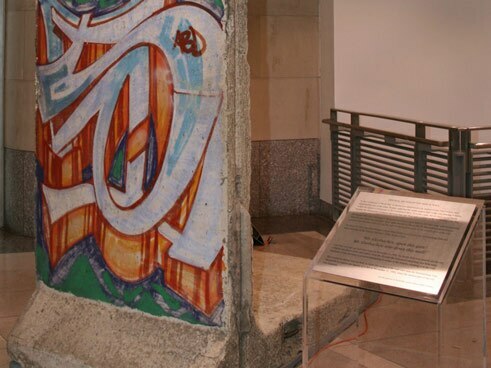 It was indeed very difficult to trace the route that some parts of the Wall had taken, especially those segments that were taken abroad immediately after German reunification in 1990. Your book lists more than 240 segments at 140 locations. Do you believe that you have found all the pieces of the Wall? No, that certainly was not possible. What we do hope, however, is that this book will inspire many people to send us further information about pieces of the Wall that we do not yet know about. We just received new information from the Cold War Museum on the Danish island of Langeland, which installed an entire painted segment of the Wall in its foyer. 25 years after the Wall came down, people often complain that young people in Germany know too little about the GDR. Do you sometimes wish that some of the scattered fragments of the Wall could be brought back to Berlin to teach people about the past? I do not believe that more pieces of the Wall in Berlin would make the gaps in knowledge any smaller. Instead, I believe that the way forward is for the division of Germany and the period of Communist dictatorship to be on the curriculum and to be actually dealt with in lesson time. Especially as the younger generation – as surveys likewise show – is very interested in learning more about our immediate past. 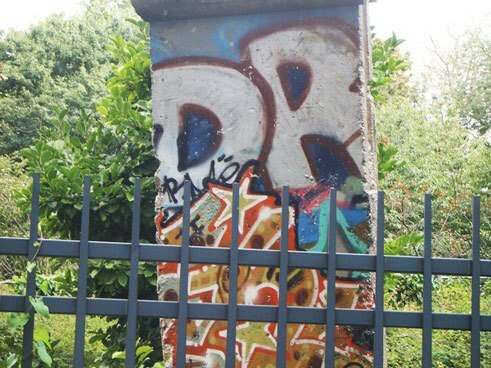 Have you seen parts of the Berlin Wall outside of Berlin? Where? Describe your experiences in a commentary on this article! Helen Sibum conducted the interview. She works as an editor in Frankfurt am Main.